as an expecting mom my body is constantly changing but the one thing that remains steady is my hair. today i wanted to share with you two different looks with Conair showing a little love to the one constant in my life. one of my favorite hair go-to's is straight everyday style or i like to wear my hair curled. the InfinitiPRO by Conair® Curl Secret® effortlessly gives you beautiful, shiny curls, while the NEW InfinitiPRO by Conair® Diamond Brilliance™ Diamond-Infused Ceramic Hot Paddle Brush creates super smooth, shiny straight styles without losing volume! The Conair Diamond Brilliance Hot Paddle Brush tool is new to their styling line and is just hitting shelves now. 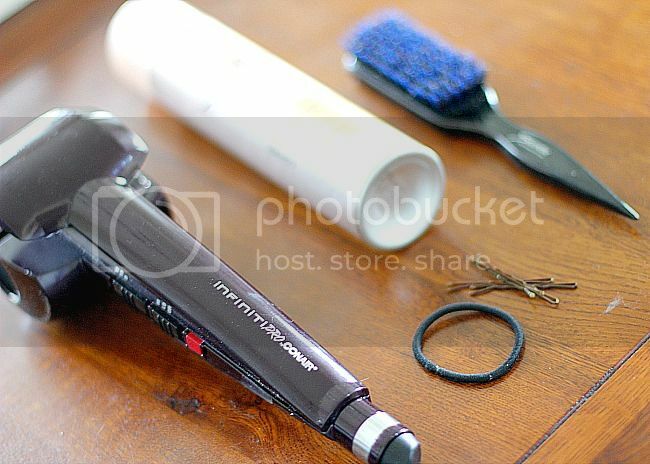 first you will need an InfinitiPRO by Conair Curl Secret. the InfinitiPRO by Conair® Curl Secret® gently draws your hair into a curl chamber and surrounds the hair strands in heat without added tension, resulting in a three-dimensional, longer-lasting curl. since all of the heat remains inside, you can achieve the perfect curls using lower heat temperatures, protecting hair from damage. the tourmaline ceramic coated surfaces help hair glide easily through the chamber to eliminate frizz while evenly distributing heat so the style you create has a salon-perfect, silky smooth, shiny finish. to style you will also need hairspray, a rubber band, some bobby pins and a teasing brush. begin with blow-dried straight hair. do this throughout all of your hair. tease the hair on the crown of your head to create a bit of volume. 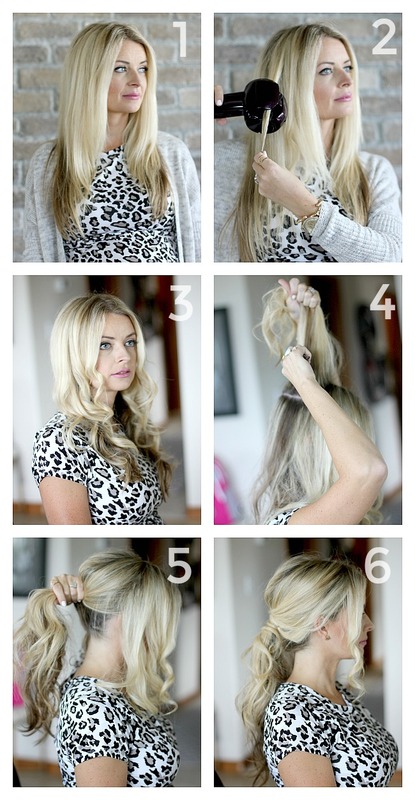 pull the back half of your hair into a ponytail. the front pieces of your hair can be pinned back around the ponytail with bobby pins. my second go-to is straight hair. 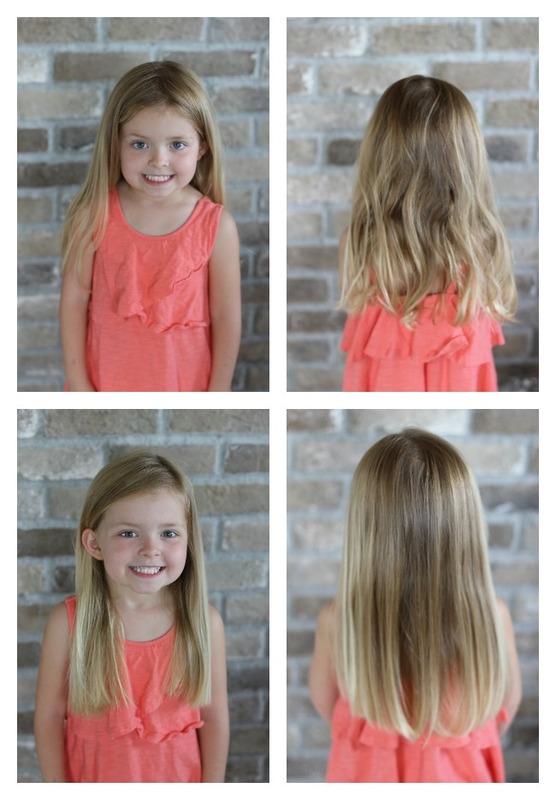 i wear my hair straight and it is also one of my quick style options for my girls. the InfinitiPRO by Conair® Diamond Brilliance™ Hot Paddle Brush has three heat settings for all hair types and reaches up to 400°F making it the perfect straightener for me or my girls. 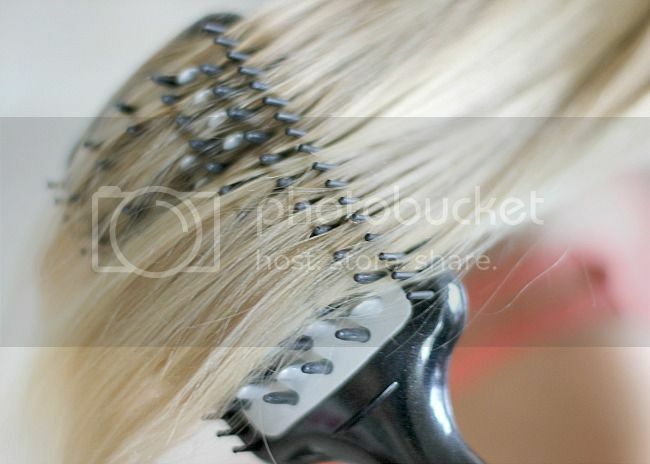 the silicon bristles grip and hold hairs in place while the nylon bristles guide the hair for advanced user control and added shine. the metal fins transfer heat that straightens and smooths the hair without losing volume. straightening hair has never been easier, or faster! 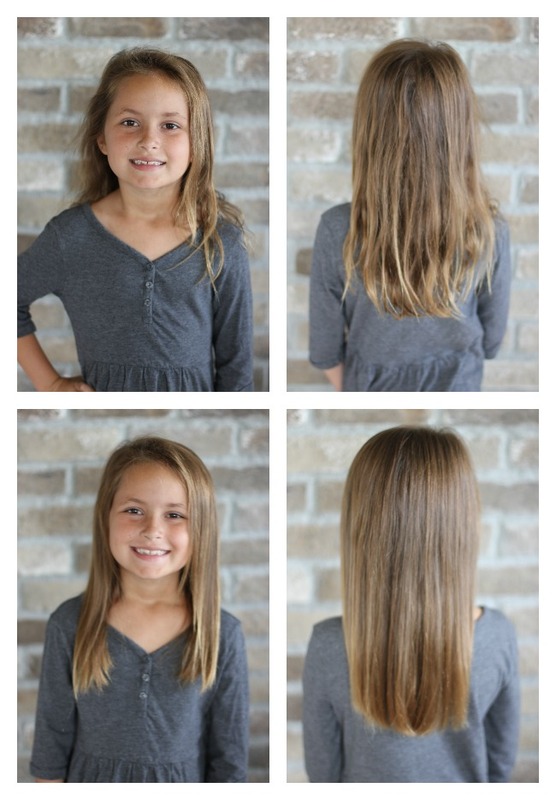 below are before and after shots of my girls after using the InfinitiPRO by Conair® Diamond Brilliance™ Diamond-Infused Ceramic Hot Paddle Brush. we had washed their hair the night before and they slept on it wet. in the morning their hair was a bit of a wreck but after just a few quick brush throughs with the InfinitiPRO by Conair® Diamond Brilliance™ Diamond-Infused Ceramic Hot Paddle Brush it was smooth and shiny. For more information about Conair's full line of styling products, visit Conair at www.conair.com, and follow the brand on Facebook, Twitter, Pinterest, and Instagram for great beauty tips and giveaways! This is a product-provided, sponsored conversation that contains affiliate links. 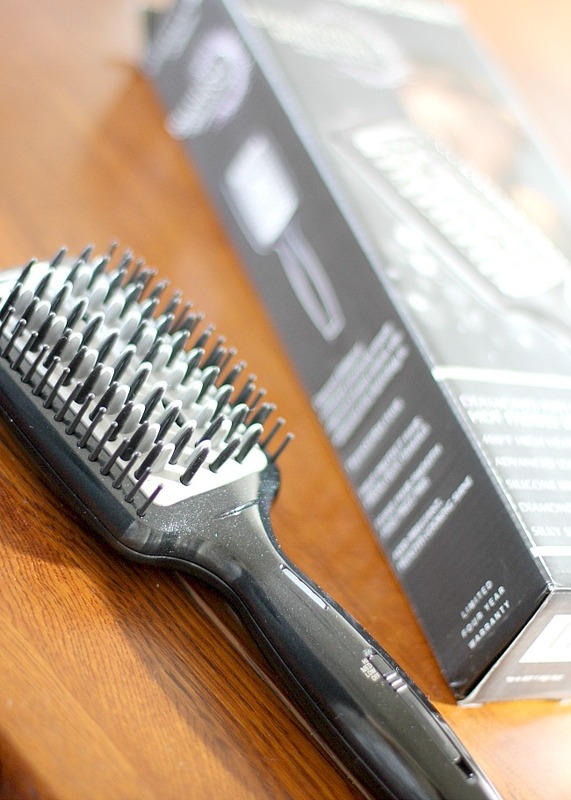 I received the InfinitiPRO by Conair Curl Secret and the InfinitiPRO by Conair® Diamond Brilliance™ Diamond-Infused Ceramic Hot Paddle Brush for my own personal use. All opinions, text and experiences are my own.